The concept behind a solar cooker is so simple that it's hard to believe the ancients didn't use them -- and they might have -- but the first documented use was by Swiss naturalist Horace de Saussure in 1787. A solar cooker relies on nothing other than the sun's energy to cook food, and while this is an obvious advantage over an oven that relies on fossil fuels, it also has some decided disadvantages. A basic solar cooker consists of little more than a glass- or plastic-topped box large enough to hold your food. Cooking is more efficient if the box is well sealed and painted black to better absorb heat. In many parts of the world, people use cookers with parabolic reflectors. Such a cooker usually has a basket or tray for the food placed at the focal point of the reflector. Combination cookers combine features of both of these types of cookers. They consist of an airtight box surrounded by reflective panels, which greatly reduce the cooking time of the box alone. It's free to cook a casserole in a solar oven. If that casserole takes two hours, however, it costs about $0.32 to cook it in an electric oven and about $0.14 to cook it in a gas one. That may not seem like a significant expense for the occasional chef, but it can quickly become one if you're cooking for a family. 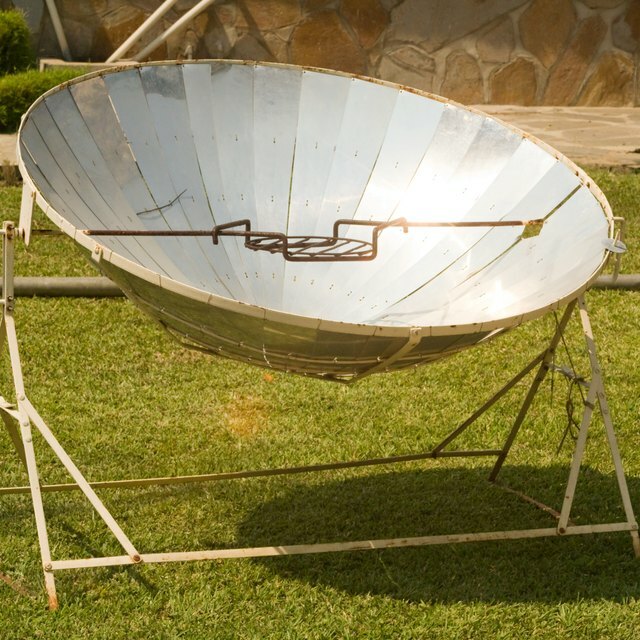 Moreover, the solar cooker can save more money if you factor in small tasks it can perform, like boiling tea water. The fact that a solar cooker relies on sunlight is as much a disadvantage as it is an advantage. You can't use it on a cloudy day, and even if the day starts out sunny, your dinner may not get cooked if clouds develop. For this reason alone, it's better to regard a solar oven as a supplement for your conventional oven, rather than a replacement. 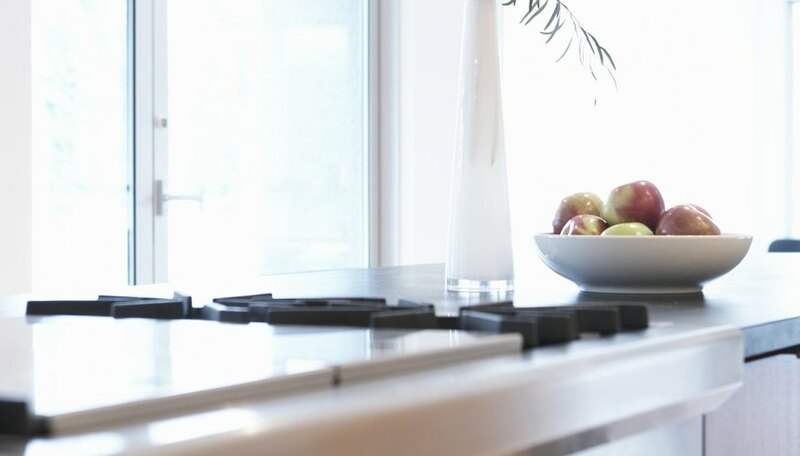 Even if the sun stays out all day, your dinner may not be done if you start cooking too late in the day. The best cooking time is around noon -- and that's usually too early for dinner. Chris Kimball of "Cook's Illustrated" tested three separate solar cookers over a period of several weeks, cooking a variety of dishes. He found that, because solar ovens cook more slowly than conventional ovens, they better preserved the moisture in such items as chicken, baked potatoes and pork. Because of temperature fluctuations, he found solar cookers unreliable for time-sensitive items like cookies, however. Moreover, he found it difficult to cook rice and broccoli to the right consistency. He conducted his tests during peak cooking times -- between 10 a.m. and 2 p.m. -- on cloudless days. Deziel, Chris. "Solar Ovens Vs. Conventional Ovens." Sciencing, https://sciencing.com/solar-ovens-vs-conventional-ovens-5079.html. 25 April 2017.